Parabola helps companies eliminate busywork with drag-and-drop automated data flows. Front's Parabola integration makes it easy to build custom analytics reports and more — no spreadsheets or coding required. 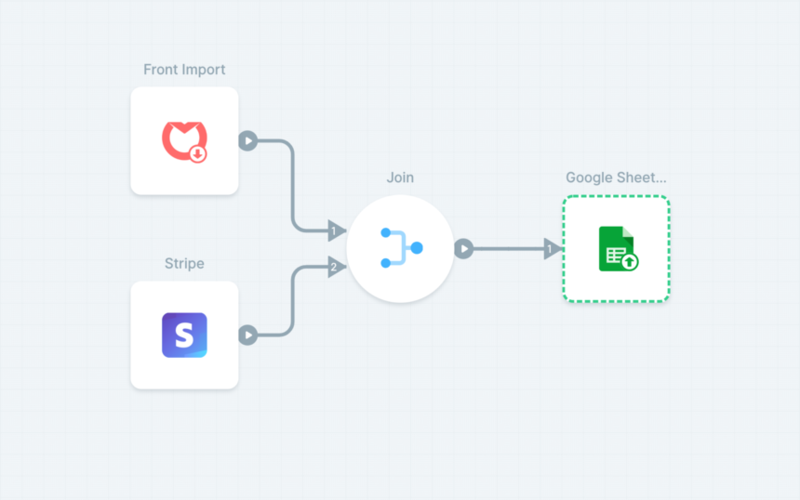 Connect Parabola with Front to automatically import, clean, and manipulate your Front data using Parabola's data workflow builder. Easily combine your Front data with customer payment data, app behavior data, and more to build a complete picture of your business. Like other integrations, you need to be a Front admin to set up the Parabola integration. Your Front plan must also include API access, like our current Premium and Enterprise plans. Log into your Parabola account. If you don't already have a Parabola account, you can sign up here. Drag the Front Import object from the Objects sidebar onto your canvas. Double click on Import and Authorize. You will need to authenticate your Front account using your Front login credentials. Now, you're ready to start building data workflows with Parabola — check out their examples here. If you have any questions or issues with the Parabola integration, please reach out to Parabola's support team.